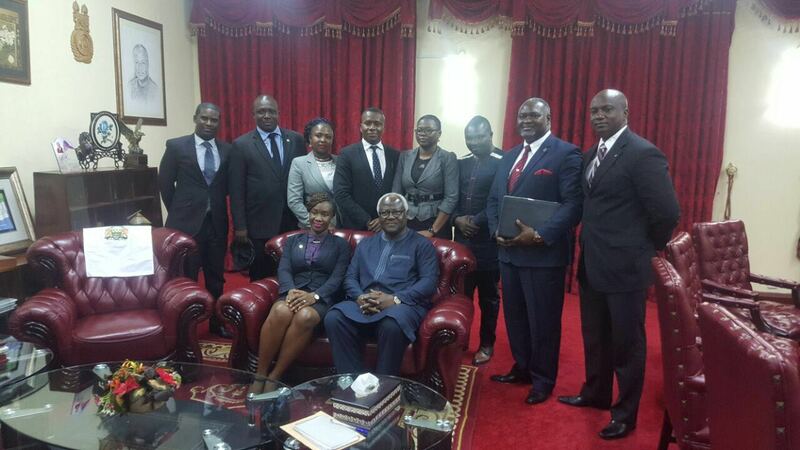 President Ernest Koroma met newly-elected members of the Sierra Leone Bar Association this week. Keeping with tradition, Sierra Leone's top lawyer, Attorney General and Minister of Justice Joseph F. Kamara, introduced representatives of the lawyer's association to the president of Sierra Leone at State House on August 2, 2016. President Koroma assured the association of government’s support in strengthening not only the Bar, but also the legal profession and the judiciary. The president also reiterated his commitment in improving conditions of service of the judiciary as well as access to justice for the poor and underserved. 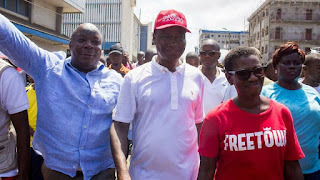 Commenting on the improvement of court rooms, President Koroma proposed that the executive should come up with a design for a new court building as a way of moving court activities from the crowded Central Court building in Freetown. Standing left to right in the photo taken at State House on Tuesday, August 2, are Walter Nicol (SLBA social and organizing secretary ), Franklin Campbell (SLBA asst. treasurer ), Ashmia Fofana Sesay (SLBA asst. secretary general), Julian Cole (SLBA secretary general), Precious Fewry (SLBA treasurer), Abu bakarr S Turay ( SLBA public relations officer), Joseph F Kamara (Sierra Leone's Attorney General and Minister of Justice) and Mohamed Lamin Tarawalley (SLBA vice president). 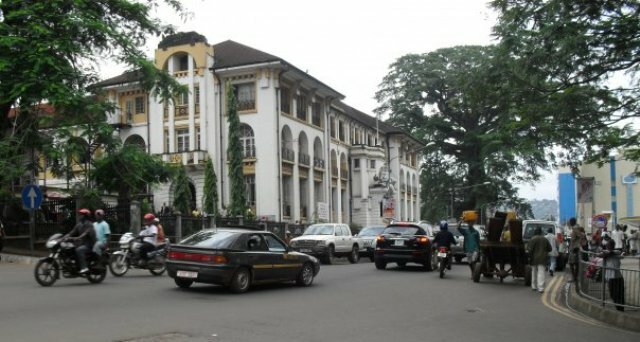 The Sierra Leone Law Courts Building marked its 100th birthday in December 2010. In one hundred years, there has not been much improvement to the infrastructure, but there have been additions over the years with adjoining courts, a water well, canteen and a library. Mrs. Rhoda Suffian Kargbo Nuni, president of the Sierra Leone Bar Association (seated next to President Ernest Koroma), reported on the fruitful relations between the body and the Sierra Leone Legal Aid Board. 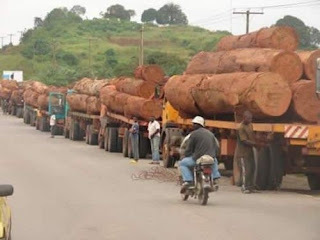 She also said resumption the Law Reporting Project will enhance the rule of law, peace, and stability.